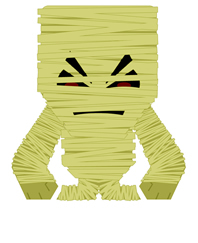 Haloween special, I go thrugh my top 10 paper monsters! The Halloween's toy! Trapped Fingers!! Trapped fingers is disponible for free download only for 36 hours!! 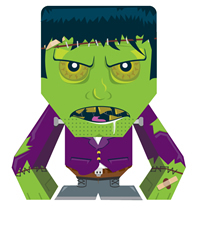 Run for Your Life its - Max the Zombie! My Fav Boy Band - Big Bang PaperCube model!! I am Pandabobo! !This is my first time to say hi and leave a post here. I think it is fun when you can take the template from the others (thanks for those creators), and then design your own graphic on it, finally, you can creat a new characters by yourself!! so, I have tried to create one of my fav korean boy band - bigbang into papertoy! Hello everyone, just wanna make a little announcement on the gubi-gubi series i have been working on! i have mentioned before that the gubi-gubi series gonna come out on november, so i want each and every gubies lovers to remember this sacred date because the gubies gonna take over the world once again in 13th November 2009!! I REPEAT 13th November 2009, im not gonna tell who's in and all that? just be prepared!!! My new porfolio is online! New design and new works. 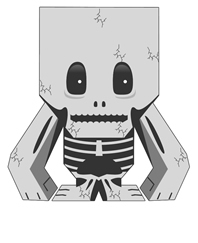 Almost all of my papertoy can be downloaded! My papertoy addiction continue and 2010 gonna be a Paper Year! Just thought it'd be cool to show some of my paper Halloween decorations and of course see what those of you who celebrate have done too. So post some pics if ya have any. Wolf man is paper and ink pen, moon is construction paper and spray paint. Each day on my blog (link) I will write about our favorite hobby: new templates, etc. THE ANYWERE JUNIOR MONSTER PATROL!